Its been a LONG time since I've posted on here! Seriously, like 4 years! Whats changed? A lot. I have a ton of projects that have not been submitted. 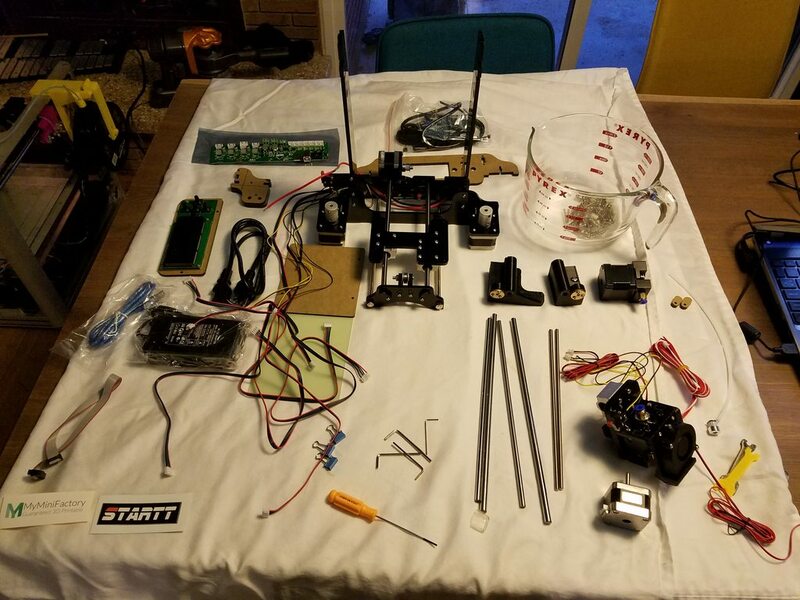 But for now, here's a review of Imakr.com's "Startt" 3D printer. This little kit has an irresistible $100 price tag. I figured it was worth a shot. I ordered it on March 6th, and didn't receive it until April 17th. They kept me somewhat updated, claiming customs clearances and QA checks. 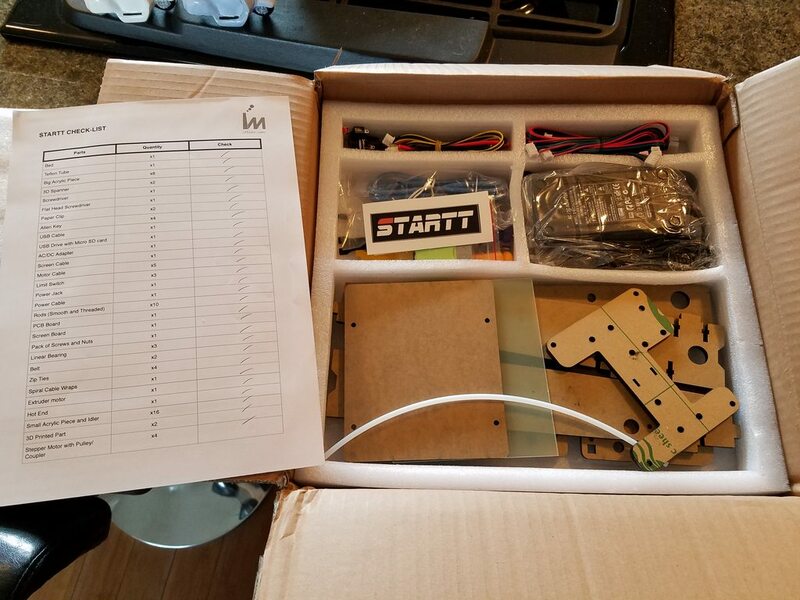 The checklist and packing was nice, and there were no missing parts. Good work here. The assembly instructions arrived on the included 8GB MicroSD card, stuck in a cheap USB card reader. Although there are a few typos here and there, I found the instructions to be quite good, and concise. They claim no additional tools required. The 3D printed wrenches were cute, but only somewhat useful. I still ended up using a pair of pliers, and a 10mm wrench to complete assembly. Peeling the paper off the acrylic was tedious to say the least. 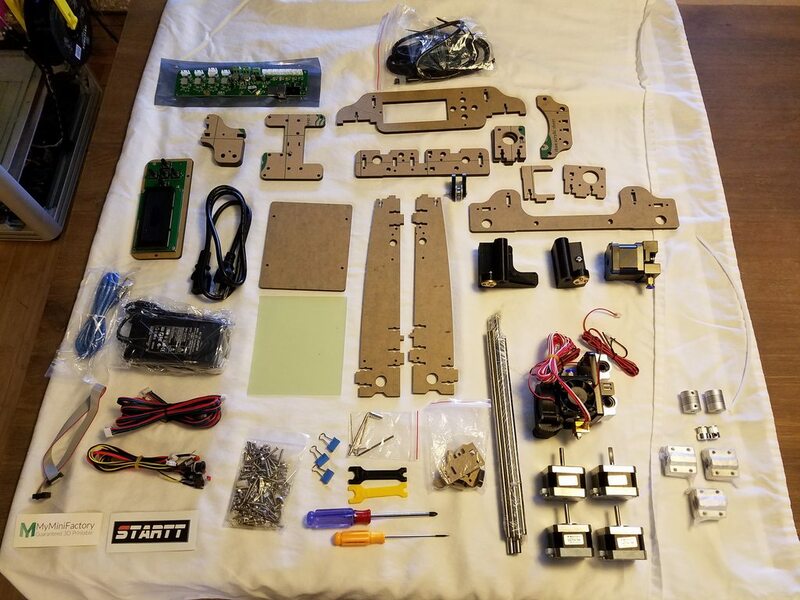 Also, a few parts arrive pre-assembled. They left the paper attached, so these assemblies need to be taken apart to remove the paper cleanly. 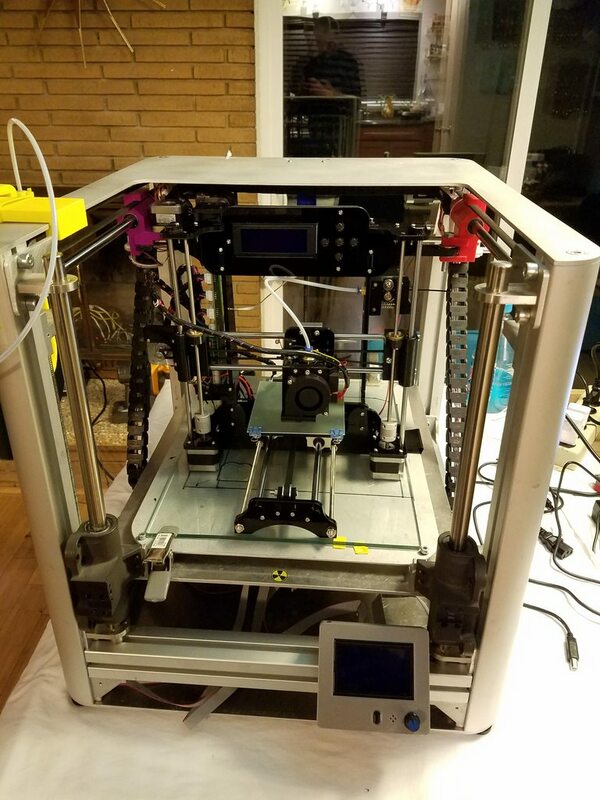 One of the first things I noticed are the three 3D printed parts. They are extremely rough. They were hastily printed, with tons of ringing, and corner lift. More on this later, but here is how they looked. Uh oh, an issue. The Y and Z rods were not cut to accurate lengths. Several mm difference between them. This can cause frame twisting, so I used my bench grinder to get them evened up. Houston, we have a problem. 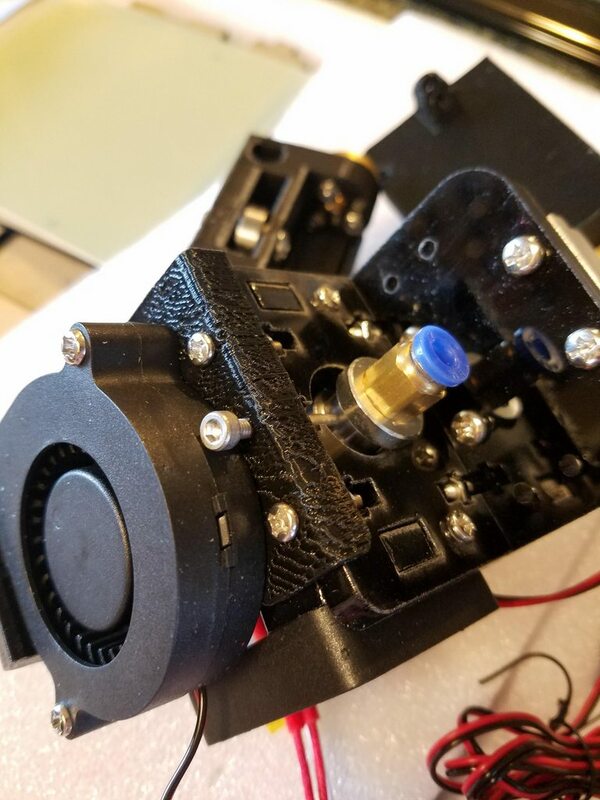 Remember those poorly printed parts? 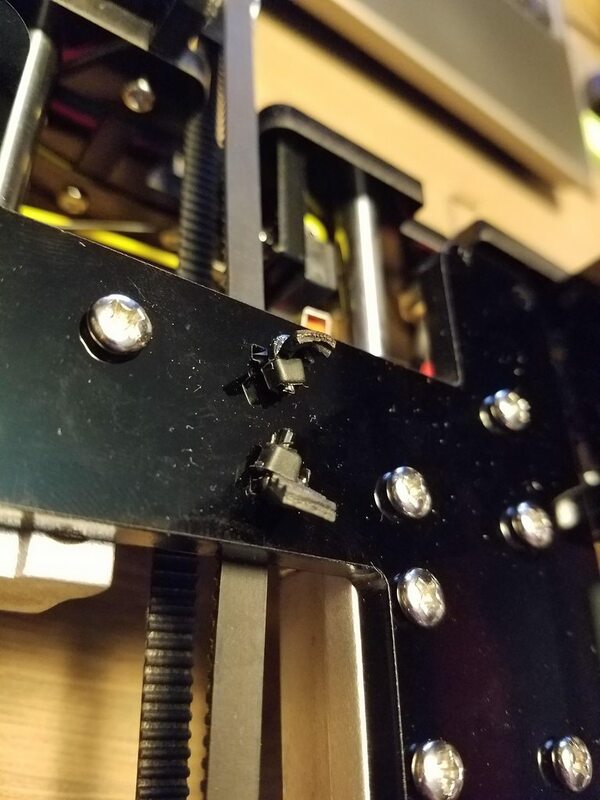 Well, they have so much corner lift, that the Z axis nuts do not mount straight. They sit at an angle. 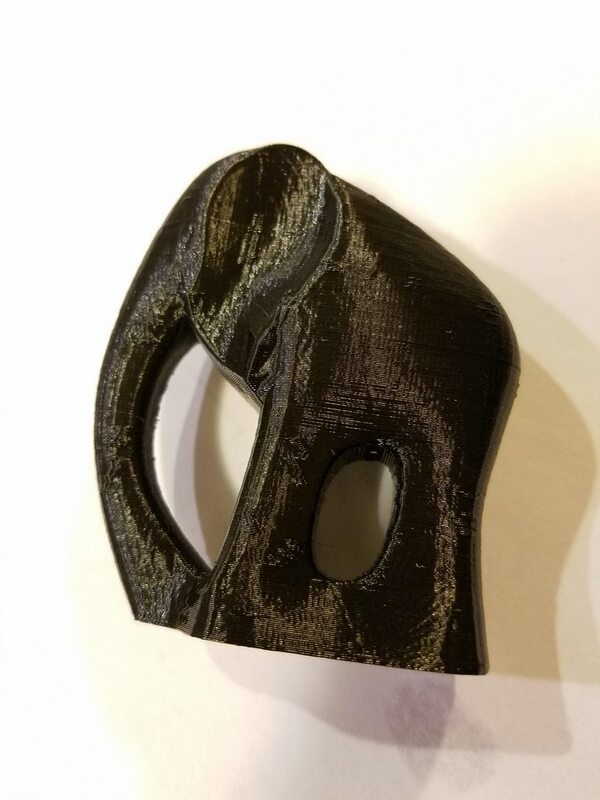 This causes severe binding, and is unusable as-is. 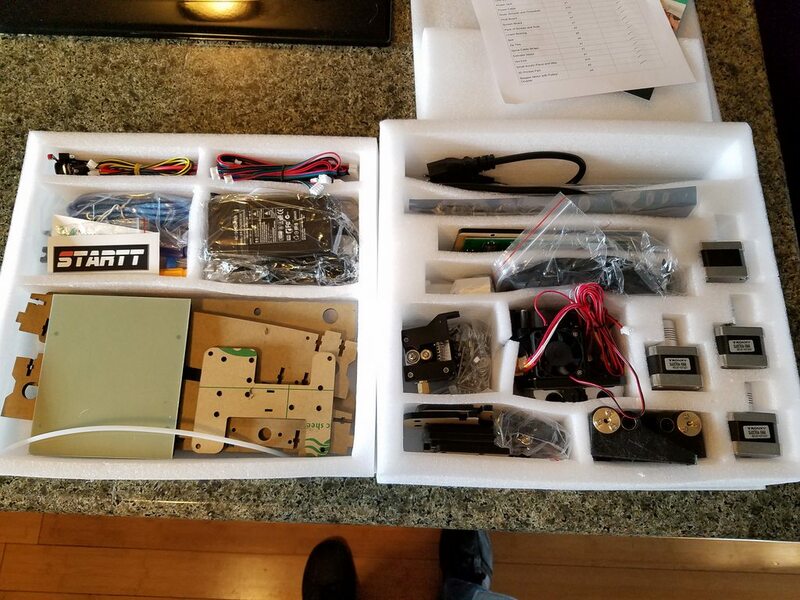 Luckily the files for these parts are available in the product forums. I re-printed these using my workhorse printer, "The Beast". 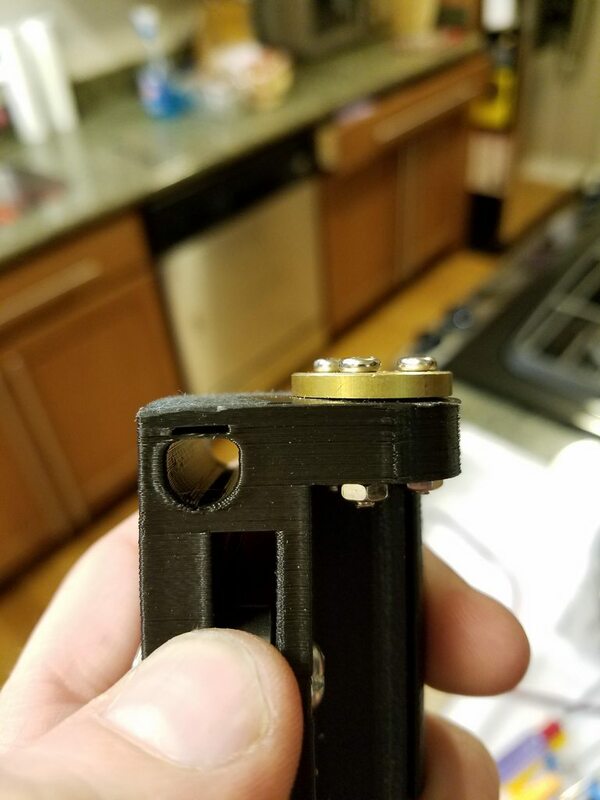 The new parts resolved the issue. 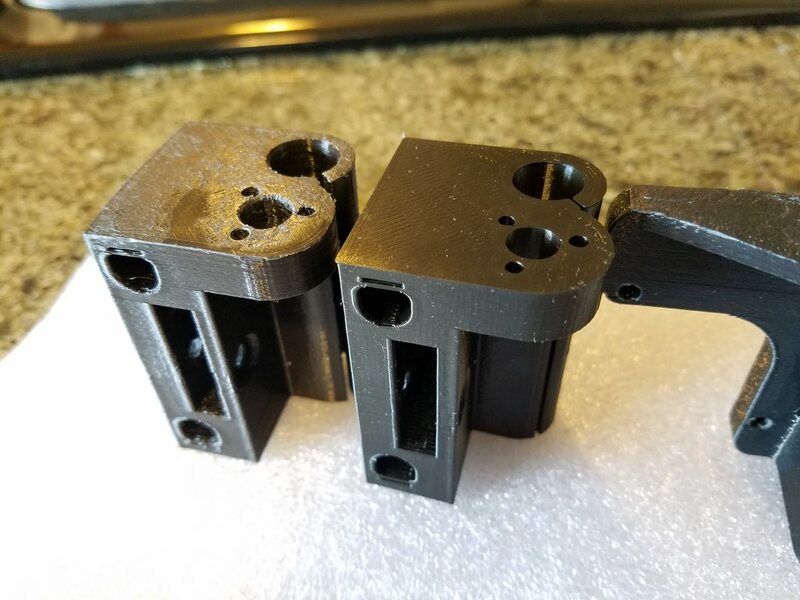 I have yet to receive a proper response from the manufacturer about why these parts are so bad. 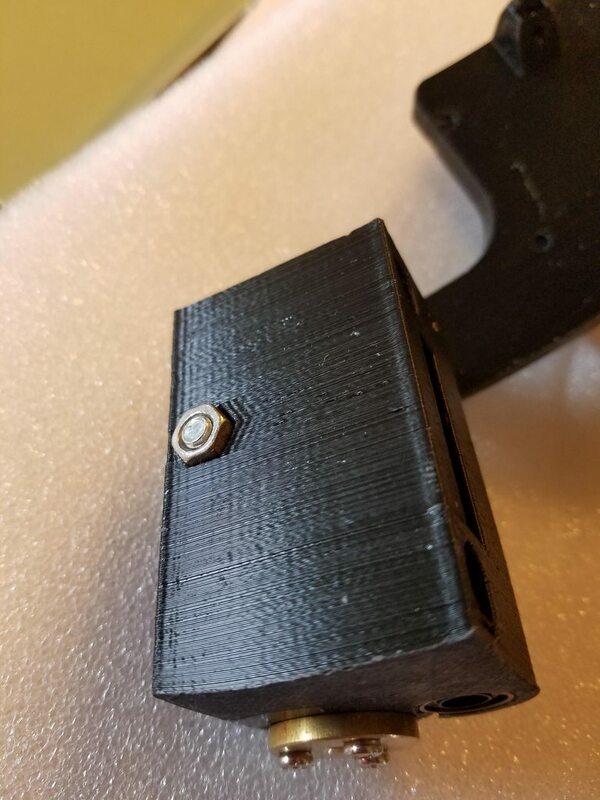 Really there is no excuse to put parts of that quality into production. I'll update if and when they respond. One little gripe I have is the way the belts are attached and held tight. Zipties? Come on. It would be basically no additional cost to put a little acrylic clamp on the belts. Whatever, they seem to work. Oh yea, here was a pleasant surprise I forgot to mention earlier! 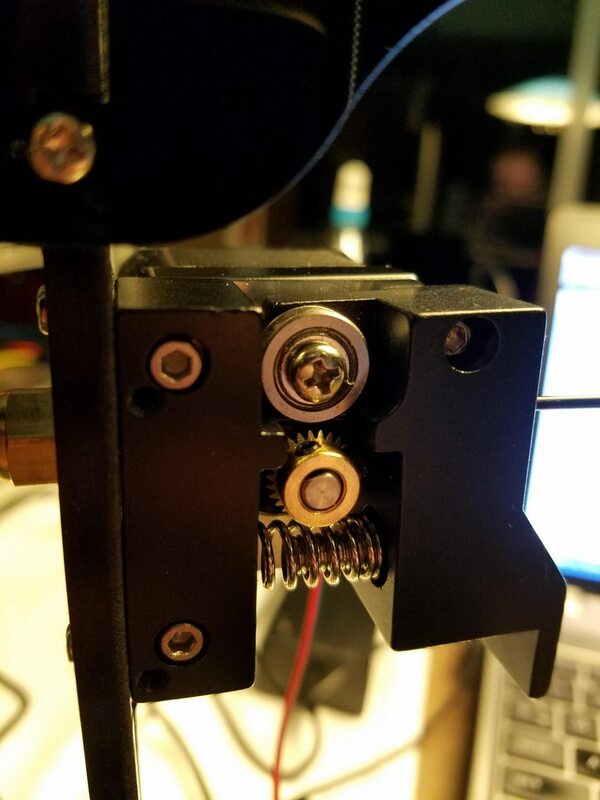 Real leadscrew on the Z axis! 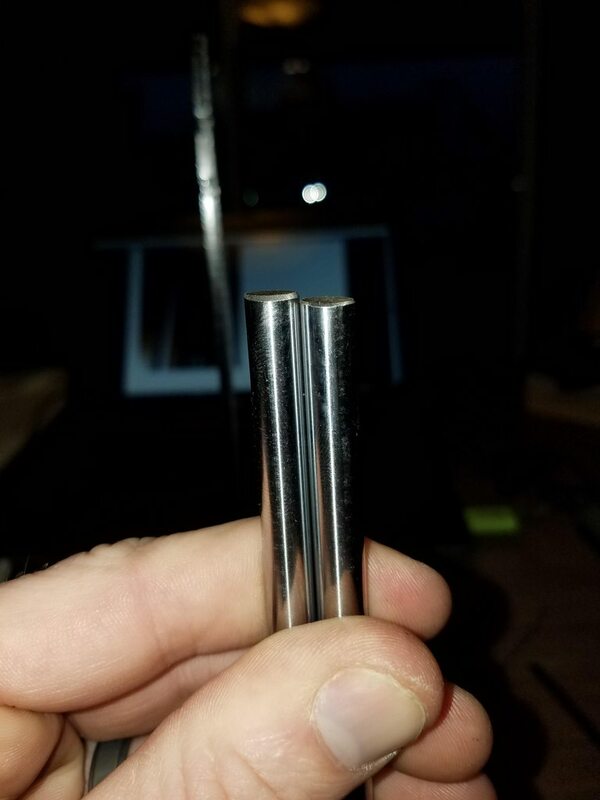 I expected threaded rod. It would have been nice if they included a little packet of lithium grease for these however. Another gripe. The LCD assembly came preassembled, and did not have appropriately sized nylon spacers. Just nuts and bolts. 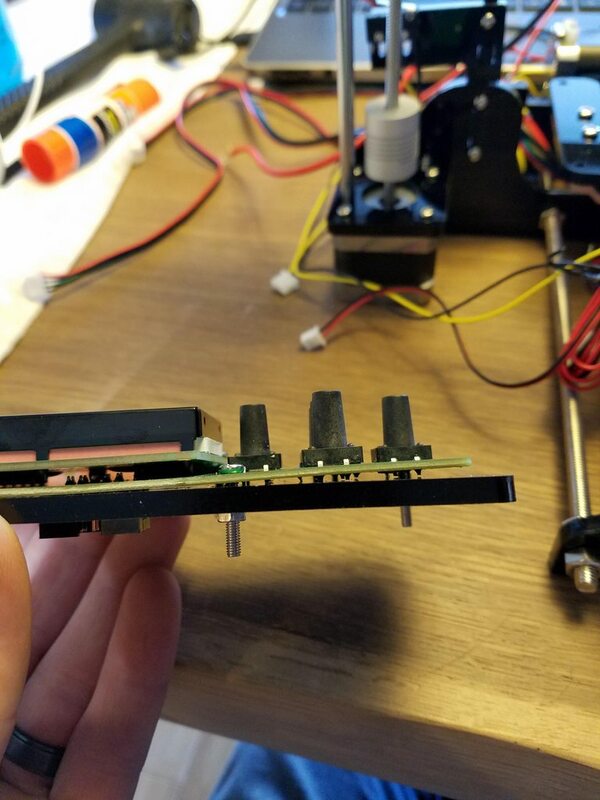 This causes the PCB to bend and press against the acrylic. Just a few spacers would solve this. I forgot to take a picture of the controller before assembly. 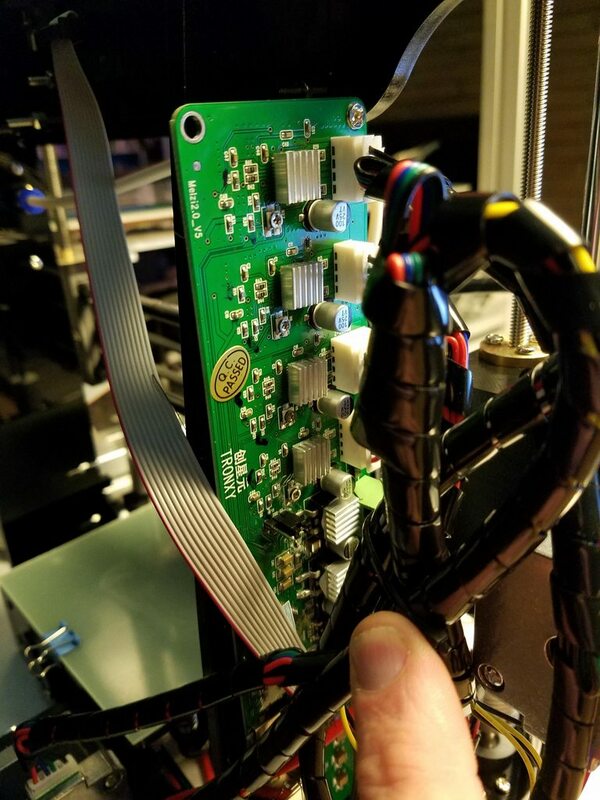 Its a TronXY controller w/ Repetier firmware. All the steppers were labelled TronXY also. 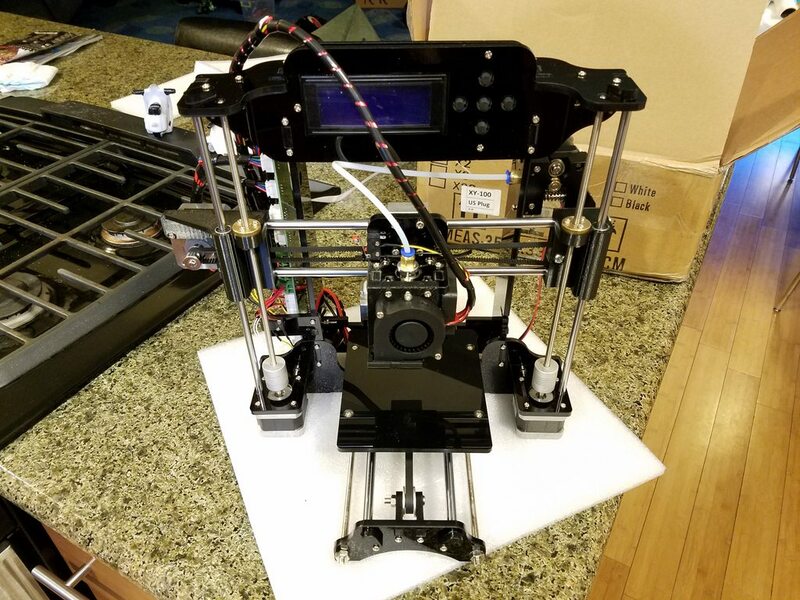 Probably because this printer is just a rebranded Tronxy XY-100. 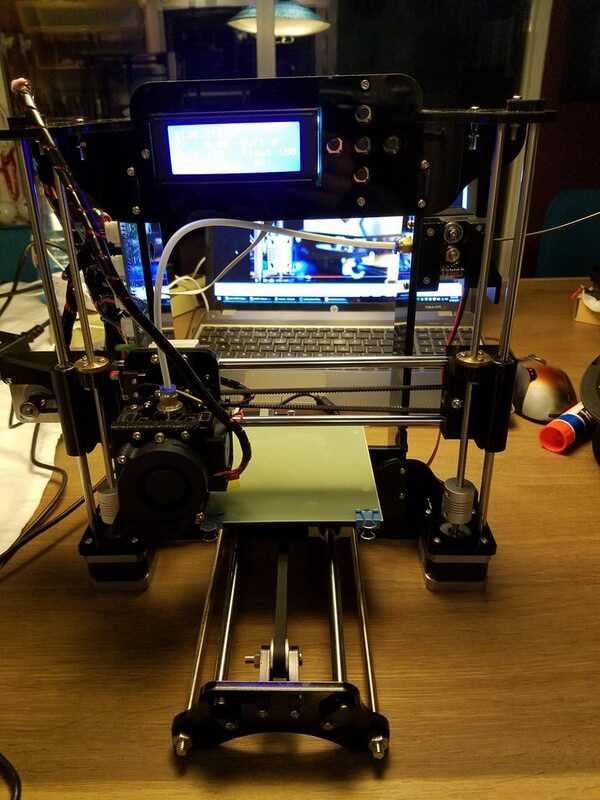 A little calibration on the Z axis, and loaded up with Hatchbox Black PLA. 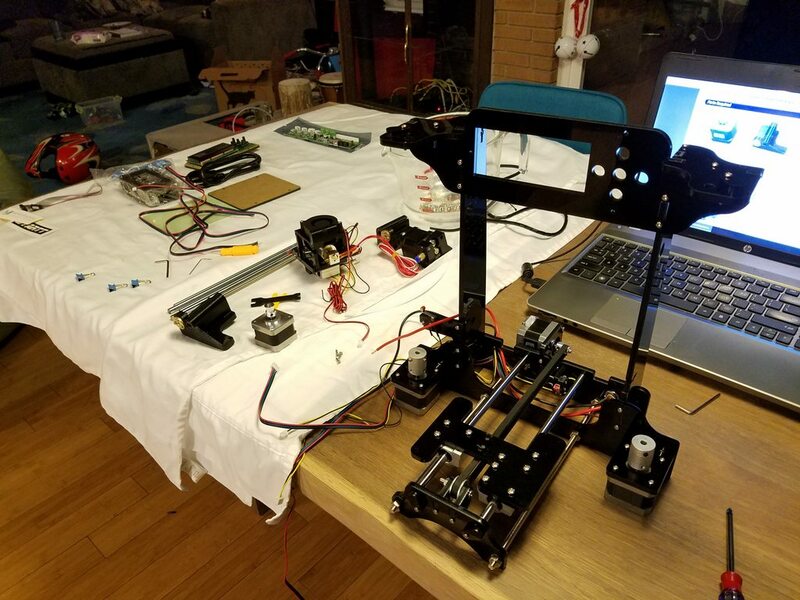 Lets print! Found this elephant on the SD card. 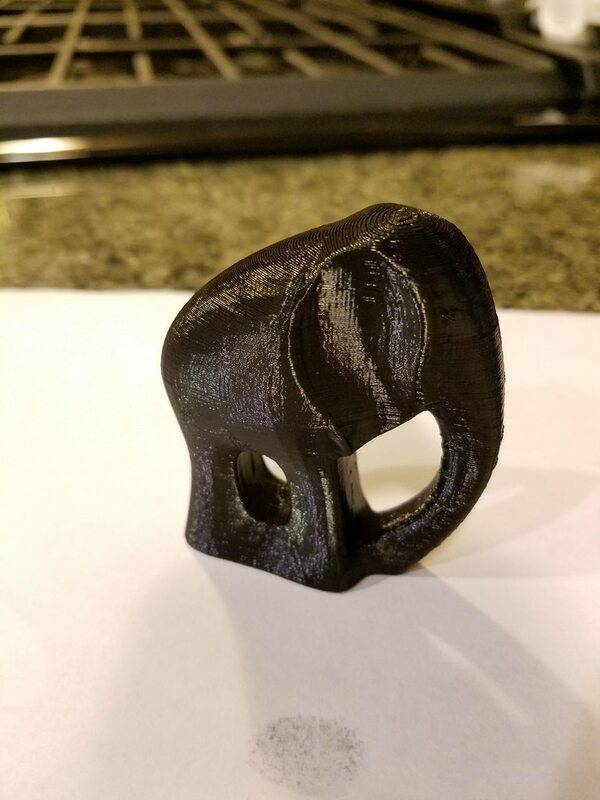 Not great, but not bad for a first print. 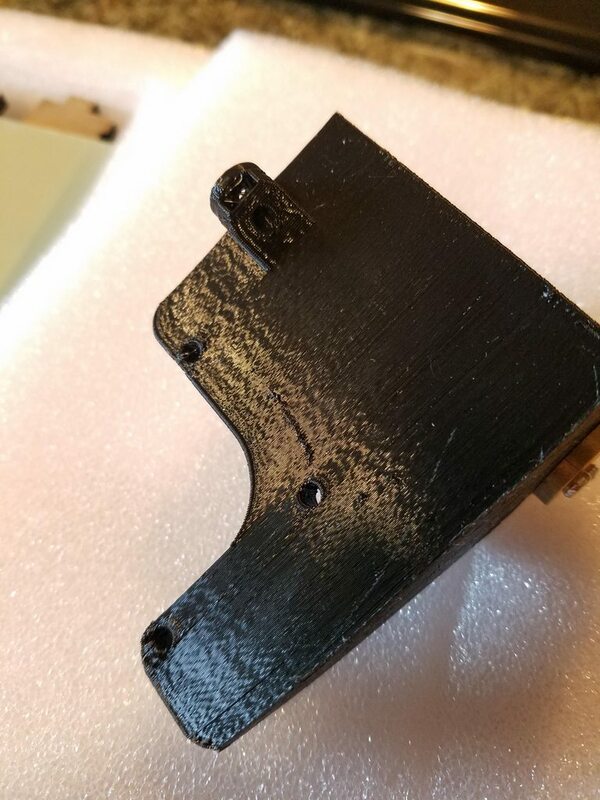 They didn't show well in the pictures, but it has some strange vertical and diagonal artifacts on the sides, that lead me to believe there may be some microstepping errors going on. You can see the vertical bar sticking out on the inside of his ear. I'll have to investigate further. Another issue I noticed is the included 12v 5A power supply seems to be inadequate. 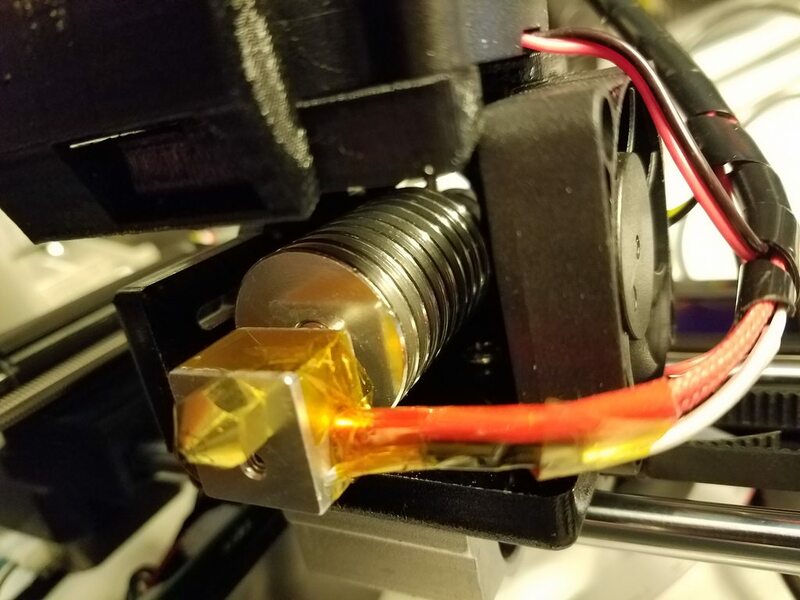 It gets super hot, and you can hear the voltage drop in the fan RPM when the hotend kicks on. A 7A or greater should be used. 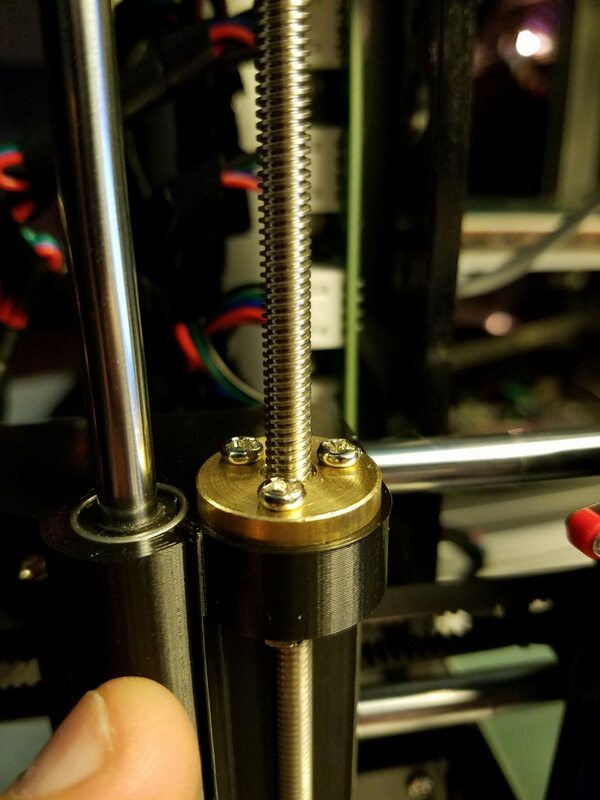 The Bowden tube gets close to being kinked at higher Z prints. 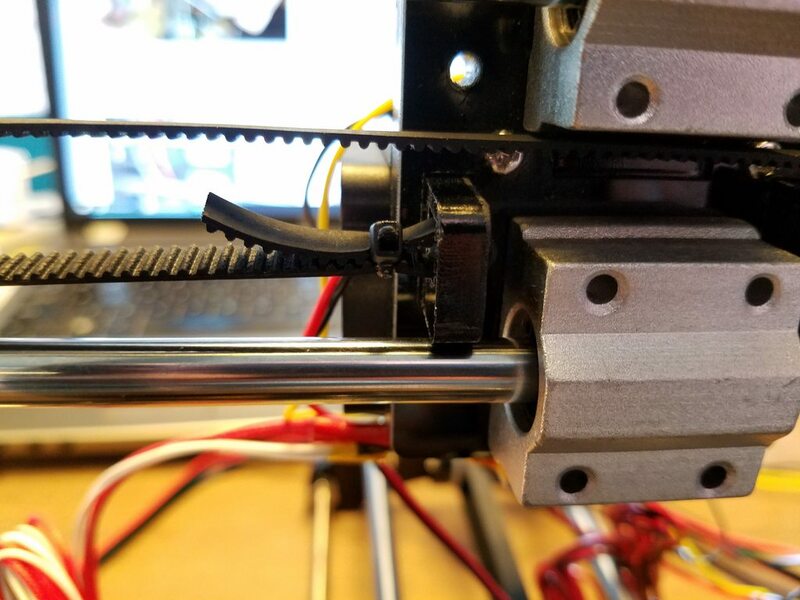 The extruder is kind of in a weird spot, and should be moved. Interestingly, the included bed is too small for the ability of the printer. 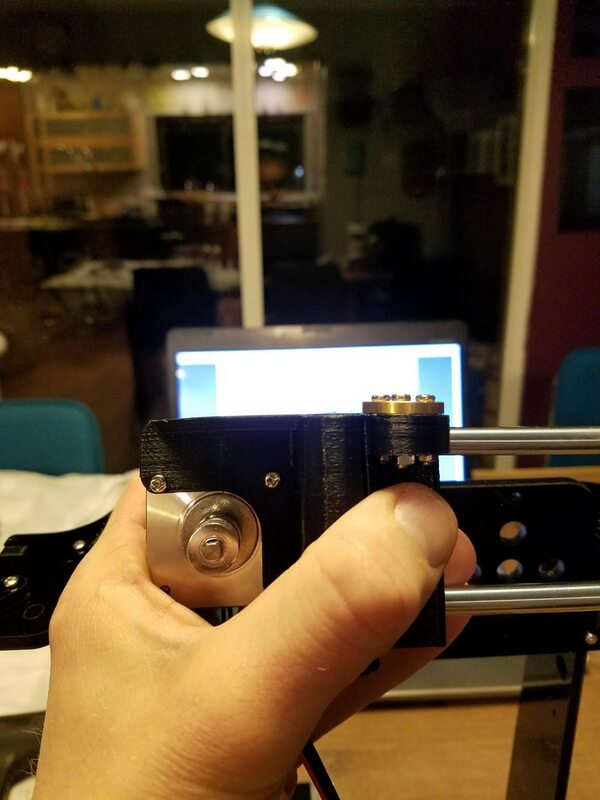 It can print about 20mm further to the left of the bed. Weird. That's about it for now! Overall the kit was quite good for the money. 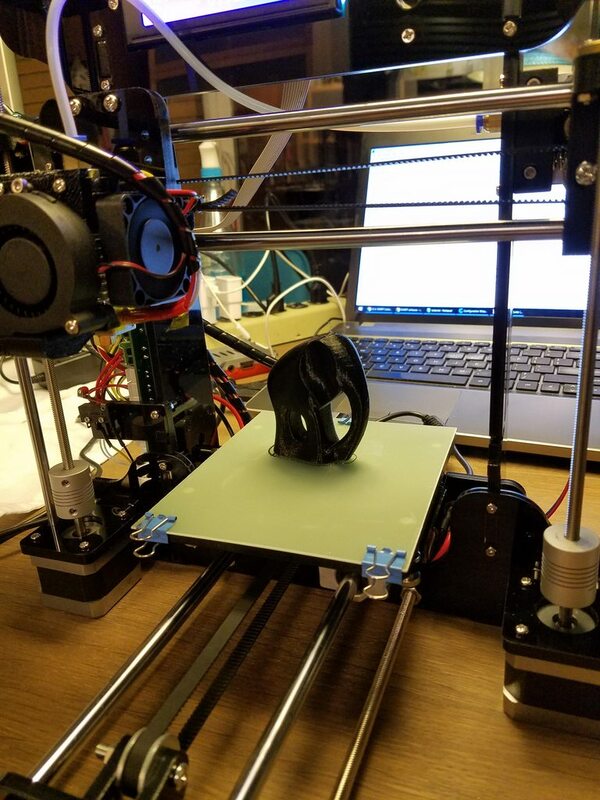 If you're a tinkerer, and want to try 3D printing for the first time, this is a great deal. 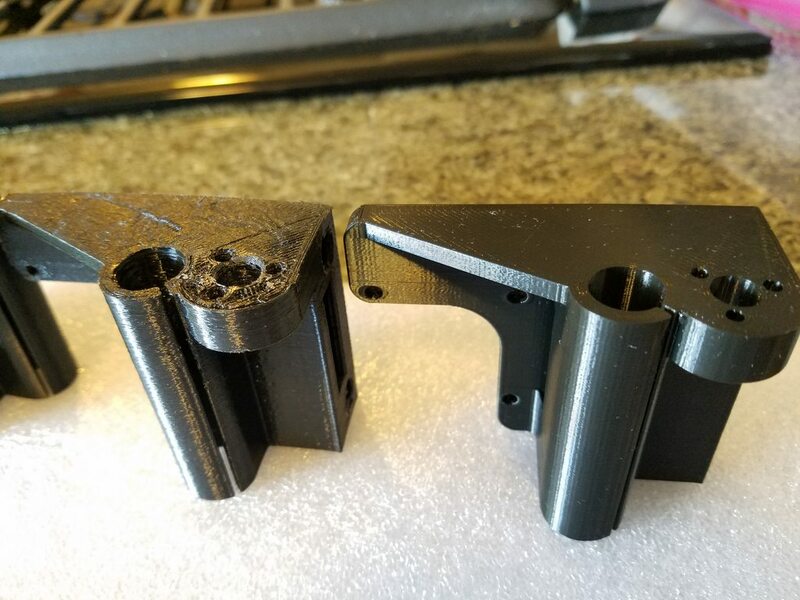 The 3D printed parts were the only major issue. I hope the manufacturer gets that issue sorted on later batches.